“I like the way they do business,” boasts Russian leader. 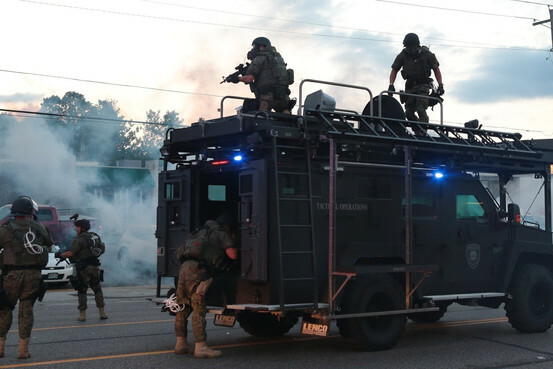 MOSCOW Russian President Vladimir Putin today ordered his military leaders to attend a month-long workshop intensive to be conducted by members of the Ferguson, Missouri police department. “The violent death of innocents, the brutal oppression of speech and the press, high-end military weapons in the hands of undertrained people in uniforms with dreadful problem-solving skills — what’s not to like?” asked Mr. Putin. As payment, Russia will provide the Ferguson police department with three T-90 tanks, a battery of 90mm artillery pieces, and a recently restored MIG-29 fighter jet. 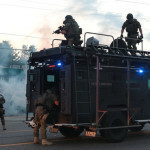 “I look forward to deploying these advanced law enforcement tools to better serve and protect the people of Ferguson,” said Ferguson Police Chief Thomas Jackson as camouflage-clad SWAT teams in tactical gear casually pointed their assault rifles at gathered members of the media. At press time, the Red Cross estimated that the 21,135 former residents of Ferguson were now refugees fleeing the area.